A television advertisement attacking Democratic state Senate candidate Faith Winter of Adams County falsely claims she supported a measure that would have added $25,000 to the tax bill of every family of four. HB18-1001 is better known as the FAMLI Act, which would have created a paid family and medical leave program in Colorado, allowing workers to take time off, for example, to take care of a sick child or to recover after childbirth. The United States is one of the only developed countries without paid family leave, but several states are picking up the slack by creating programs of their own. Colorado’s bill, however, was blocked by the Republican-controlled state Senate. The proposed law wouldn’t have added $25,000 to the tax bill of every family of four, as the ad claims. “I have no idea where they would get that number,” said Kathy White, the Deputy Director of the Colorado Fiscal Institute (CFI), which provides information and analysis of fiscal and economic issues facing the state. According to three separate fiscal analyses of the bill from CFI, the Institute for Women’s Policy Research, and the non-partisan Legislative Council, the program is estimated to cost workers between .33 to .99 percent of wages. Even the most generous interpretation of the program’s fiscal impact on individual families doesn’t come close to the ad’s claim that the program would cost $25,000 for a family of four. Say the program does end up costing a worker .99 percent of their wages, the maximum possible rate. Now imagine a well-off household with an income of $100,000, which is well above Colorado’s median household income of $65,685. 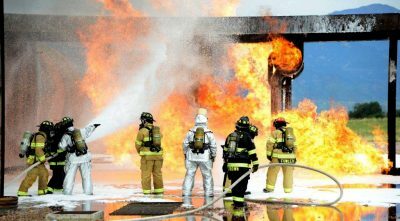 Under these circumstances, that household would be contributing $990 a year to the program. It would take more than a quarter of a century for the program to have cost this family $25,000, not to mention the fact that the ad claims this is the program’s cost for every family of four, not just wealthy families. 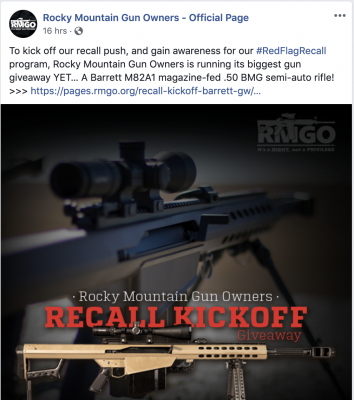 The ad was paid for by Colorado Citizens for Accountable Government (CCAG), a conservative Independent Expenditure Committee (IEC) with deep pockets that has so far spent $72,000 in ads opposing Winter. CCAG is funded in large part by the Koch Industries-backed Republican State Leadership Committee. Winter’s race in Senate District 24 is shaping up to be one of the most competitive–and expensive–in Colorado. She faces a challenge from incumbent state Sen. Beth Martinez Humenik. 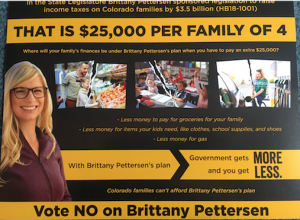 Nearly identical claims of huge tax increases on Colorado families due to the FAMLI Act are being promoted in direct mail ads in other competitive state Senate races. 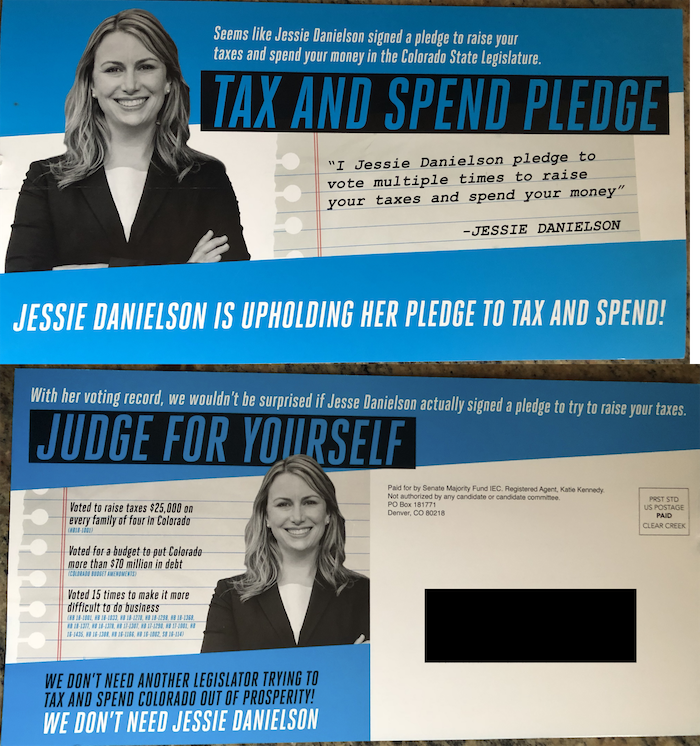 Like the TV ad, the mail pieces, which were paid for by the Senate Majority Fund, say that state senate candidates Brittany Pettersen and Jessie Danielson’s support for the FAMLI Act would have raised income taxes $3.5 billion, which they say amounts to $25,000 per family. Again, these numbers are completely inconsistent with multiple independent analyses of the bill. White also pointed out that the FAMLI Act doesn’t create an income tax, as the ads claim. 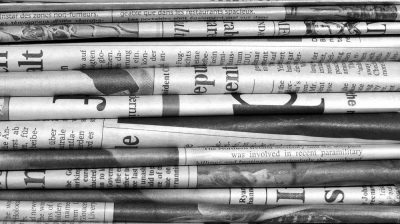 Natalie Wood with the Bell Policy Center agreed that the ads are leaving out key information. “They lack even the title of the bill, which would reveal the basics of what the bill does, which is address a critical problem facing Colorado families, that they’re being forced to choose between taking care of their families and earning an income,” said Wood. Requests for comment from both groups behind the ads, the Senate Majority Fund and CCAG, were not immediately returned. This topic contains 0 replies, has 1 voice, and was last updated by Madeleine Schmidt 5 months, 3 weeks ago.